Athens is all about sightseeing… we’ve no objection to that, as the city is filled with ancient ruins and impressive structures like the Acropolis, the Temple of Olympian Zeus right in the city centre and the archaeological sites of scenic Plaka, to name just a few. Now, what could be the best coffee shop for a culture vulture, if not a museum café? And because pleasant surprises and beautiful images are what make a holiday memorable, don’t miss these hot picks that not only offer a revitalizing hit of caffeine, but also splendid views and great atmosphere in the heart of Athens. So, if you are planning to visit this stunning city and eagerly getting ready to explore, there are three things you’ll need to get sorted: central Athens accommodation, a pair of comfy trainers and plans for the best stops for coffee to boost your energy levels on a busy day exploring. After a thoroughly enjoyable visit to the unmissable newly built Acropolis Museum, admiring the magnificent and creative skills of ancient Greeks, you’ll certainly need something to delight your palate. 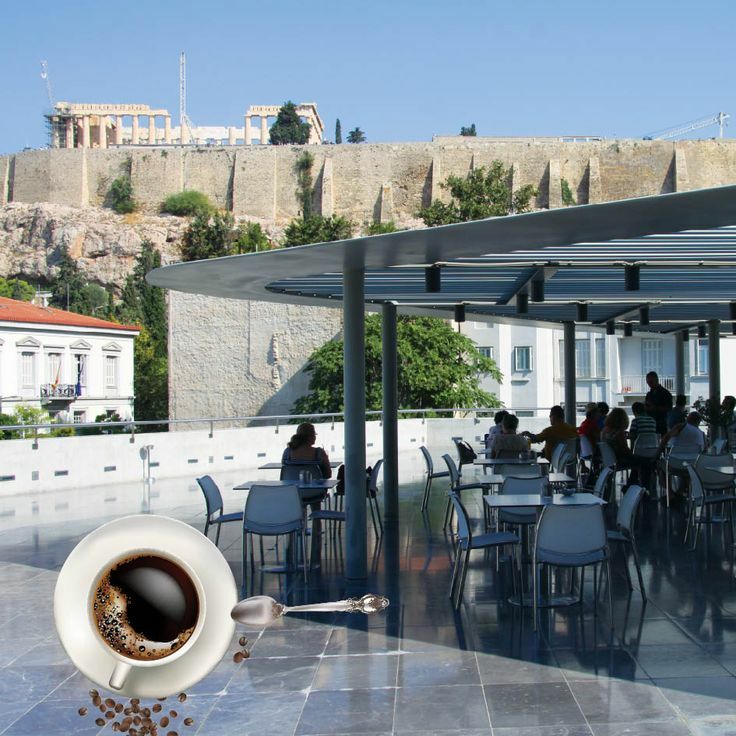 Head to the 2nd floor of the museum, where you’ll find a huge sun-lit terrace with fantastic views of the Acropolis along with a little perk-me-up in the form of great flavoured coffee. Plus, if you manage to get there before 12 o’clock you’ll get the chance to savour the restaurant’s traditional Greek breakfast. The Acropolis Museum is easily reachable by metro (Acropoli station). Displaying exhibits of ancient Greece, as well as paintings depicting Greek history through time, Benaki museum is housed in a well-preserved new classical building and centrally located, close to Syntagma Square (Evangelismos metro station on the Blue line). Highlight of the museum is definitely considered its rooftop café with a large terrace offering panoramic views of Acropolis, Lycabettus hill and the National Gardens. Enjoy a cup of coffee or a snack to tame your hunger until your next stop. This impressive building designed by famous German architect Ernest Schiller houses a rich collection of ancient and modern coins. 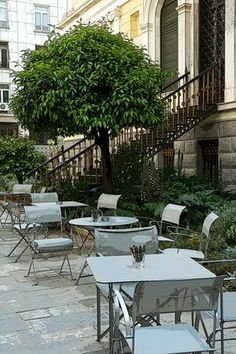 However, the museum also has a little secret called the Coffee Shop in the Numismatic Museum’s Garden! It’s a cozy café nestled amidst the museum’s lush garden, serving exceptional coffee and snacks. Although, the view is not as dramatic as some of the others we’ve mentioned, the whole atmosphere invites you to take some time out and simply relax in elegant surroundings. The Numismatic Museum of Athens is centrally located on Panepistimiou Street, just a few minutes’ walk from Syntagma Square.